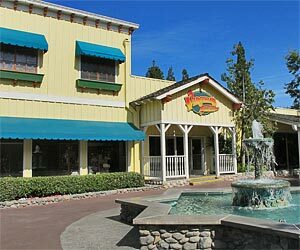 Factory Outlets - Stores where retail chains often offer discounts on items from previous seasons [covers L.A., Orange County, Ventura County, Inland Empire and San Diego]. West LA and Beverly Hills, including Beverly Center Shopping Mall, Rodeo Drive, Two Rodeo, Century City Shopping Center and Westside Pavilion. 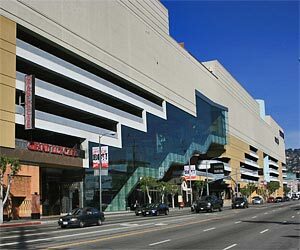 Hollywood and nearby, including Hollywood & Highland, Universal CityWalk, Melrose Avenue and Robertson Boulevard Shopping District in West Hollywood. Downtown and nearby, including California Market Center, LA Fashion District, Santee Alley, Cooper Design Space, Grand Central Market, LA Flower District, Little Tokyo District, Olvera Street, Citadel Factory Outlet. Mid Wilshire and nearby, including The Grove, Original Farmers Market, West Third Street, Koreatown Galleria and Koreatown Plaza. Santa Monica and nearby, including Third Street Promenade, Santa Monica Place, Montana Avenue, Main Street Santa Monica, Venice Beach Boardwalk, Malibu Country Mart. South Bay / Redondo Beach, including Del Amo Fashion Center, Redondo Beach Pier, Manhattan Village Mall, South Bay Galleria, Plaza El Segundo, South Bay Pavilion and shopping in Palos Verdes. Burbank / Pasadena and Inland Empire, including Americana at Brand, Burbank Town Center, Downtown Burbank, Glendale Galleria, Old Town Pasadena, Paseo Colorado, Santa Anita Fashion Centre, Victoria Gardens. 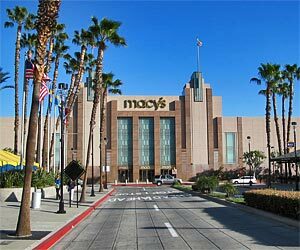 LAX area, including Howard Hughes Promenade, Westfield Culver City Mall (formerly Fox Hills Mall, Helms Furniture District, Baldwin Hills Crenshaw Plaza and LAX Layover Shopping tips. San Fernando Valley, including Northridge Fashion Center, Panorama Mall, Sherman Oaks Galleria, Topanga Shopping Center, Sherman Oaks Fashion Square. Disneyland / Anaheim and nearby, including Downtown Disney, Knott's California MarketPlace, Buena Park Downtown, Cola Corner, Anaheim Gardenwalk. Long Beach and nearby, including Lakewood Center, Long Beach CityPlace, Shoreline Village, Ports O' Call Village, Los Cerritos Center, Westminster Mall. Orange County and nearby, including The Outlets at Orange, Brea Mall, The Market Place, Fashion Island, Irvine Spectrum Center, South Coast Plaza. 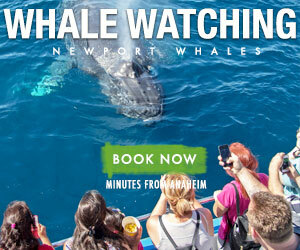 Away from L.A., including The Oaks Mall in Thousand Oaks, Valencia Town Center, Lake Arrowhead Village, Ontario Mills. Farmers Markets in or near Los Angeles - There are dozens of Farmers Market venues in the LA area, including the Original Farmers Market. Follow the link to find a comprehensive list of local farmers markets. Bargains L.A. - A list of stores where you can find items for low prices. Where the Stars Shop - Seeing-Stars reveals some of the special places where Hollywood stars go to shop.